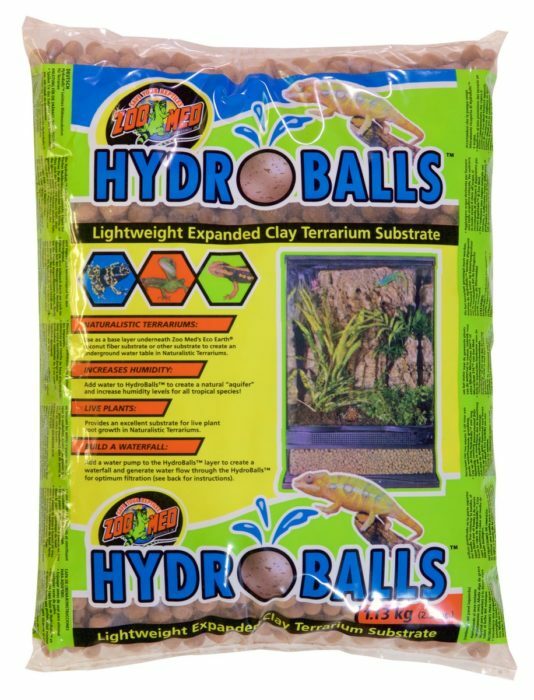 HydroBalls™ | Zoo Med Laboratories, Inc.
HydroBalls™ Expanded Clay Terrarium Substrate can be used as a base layer underneath substrates to create an underground water table in your pet’s Terrarium. Add water to create a natural “aquifer” and increase humidity levels for all tropical species. Excellent substrate for live plant root growth in Naturalistic Terrariums®. Use for filtration for a waterfall.